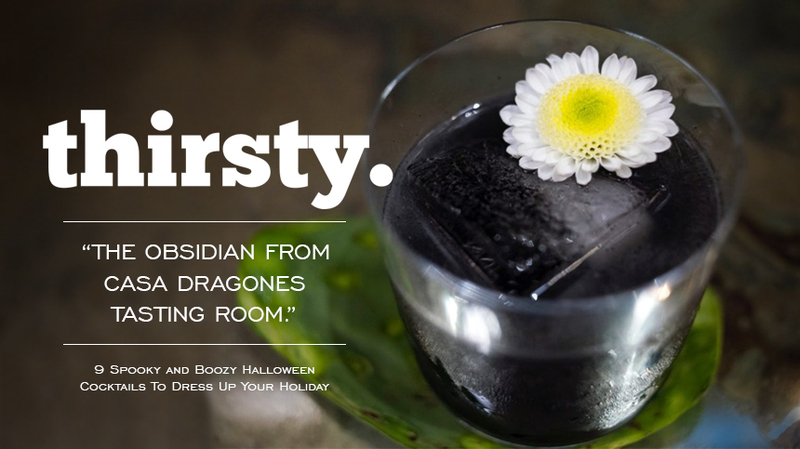 Check out these spooky and boozy Halloween cocktails from top spots around the country – and Mexico! – and celebrate All Hallows’ Eve with a buzz. THE OBSIDIAN FROM CASA DRAGONES TASTING ROOM, SAN MIGUEL DE ALLENDE. At this newly opened six-seat destination for sipping Casa Dragones’ small batch Pure Blue Agave silver tequila in San Miguel de Allende, Mexico, NYC superstar mixologist Rael Petit created this cocktail for the opening of the Tasting Room, mixing blanco tequila with lime, cinnamon star anise syrup and charcoal, topped with Prosecco. The charcoal gives this drink a purple hue and is a must for any Dia de los Muertos celebration.